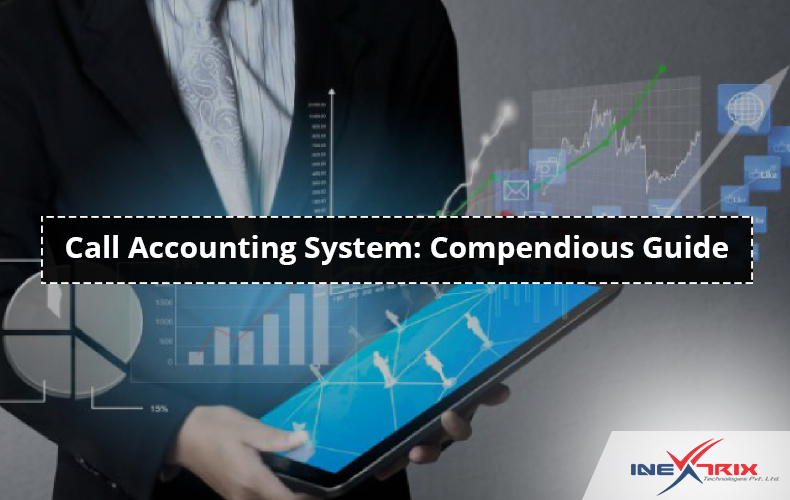 Call Accounting System (CAS) has been in the industry for long and has been benefiting businesses by assuring fair usage of the telecommunication infrastructure and many other benefits. Any small to large scaled business can leverage various benefits by using the call accounting system. This system is also popular as the Call logging system. What is call accounting system? The call accounting solution comes with an easy to use GUI based panel. One needs minimum technical knowledge to use this solution at its best. The Dashboard of the system gives a quick view of various important parameters. The inner modules give more deep functions. The call accounting system comes with four different panels. How call accounting system works? The call accounting system can process and log all different types of calls and assign the cost to the different calls. It can also label a call as the personal or professional call. At predefined intervals (Daily / Weekly / Bi-weekly / Monthly), the call records will be sent to the concerned person to review. The call accounting system also automates certain notifications and reports. It means a report will be sent to the supervisor when a predefined criterion meets or on a specific day of the week / month. This saves time of the supervisors and save their efforts otherwise spent on manual tasks. How call accounting system benefits businesses? The biggest benefit of the call accounting solution is that all calls are monitored and recorded. Also, you will get a clear picture of usage of your telecommunication infrastructure to assure its fair usage. These call logs will be available forever and can be used at any point of time to search for any reason such as security, billing, etc. The call accounting system will provide the required details to judge the usage of telecommunication infrastructure by a person and a department. The supervisor will have authority to approve the telecom usage by the employees or bill them for the calls which were not official. This way the company can control the usage of telecommunication resources. The major benefit of the call accounting solution is that the employees will be aware of the usage of the telecom. Moreover, they know that all calls are accounted and they are answerable for misuse of it. Thus, they will consciously use their telecom resources. Furthermore, the call logging system will provide different metrics about the telecom rush hours, low volume hours, etc. The company can use this information for work delegation and time management to get the best output. Based on the call details and telecom resource utilization, the companies can also create some policies to control the cost of the telecom resources, if needed. A company might be using different carriers or service providers for telecom usage. The call accounting solution will provide all details about the all calls made, received, abandoned and missed at the company’s end. This will give data to match the calls billed by the different providers and actual usage, in case of some discrepancies. If a business runs a business in which it provides calling or conferencing service to its tenants, the call accounting system gives a useful tool to simplify the billing process. How to get the call accounting solution? One way is to buy it and install on your server/ cloud. Alternatively, you can use this solution as managed services. You don’t need to invest in buying any hardware or software and performing any setup. All you need to do is pay a monthly fee. We, iNextrix, have multilingual call accounting system which is provisioned with advanced features. We offer both different models to use this solution. You may have a demo in which we will walk you through the system and will explain its utilities and benefits in context to your business. Contact us to schedule a demo.